Sketchfab Community Blog - The Unity Community Art Challenge Winners are in! The entries for the Unity Community Art Challenge (“Thor’s Hammer”) are just plain awesome. 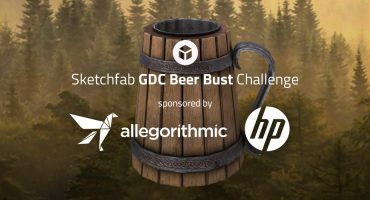 Sketchfab is the regular sponsor of this event and the winners will all receive a Sketchfab PRO account.Check out the full list of entries entries here. Essimoon doesn’t give up! After reaching the second place last time he now won the gold medal with is dynamic scene. I love the detail and the grunge in Vertexpusher’s model. While most entries were high-tech, Brett chose for a more natural model.